If you are looking to for a holiday or short break in Norfolk, East England then 2 Hall Farm Cottages provides some great self catering accommodation for you. Self catering accommodation at 2 Hall Farm Cottages sleeps 4 with	2 bedrooms	and prices for a weeks stay start from just £341. A quiet, rural village close to the seaside towns of Sheringham and Cromer, the property has a spacious garden and accommodation. Garden: Large enclosed lawned garden to the front and side. Parking: Driveway for two cars. Also Provided: Wi-Fi. Books and games. Telephone for incoming and local calls only. 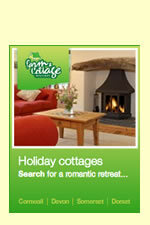 2 Hall Farm Cottages is situated at Church Road, West Beckhamin Norfolk. A map is below but if you are travelling by car the all important Sat Nav settings are: Latitude 52.911516, Longitude 1.187897 or postcode NR25 6NX.